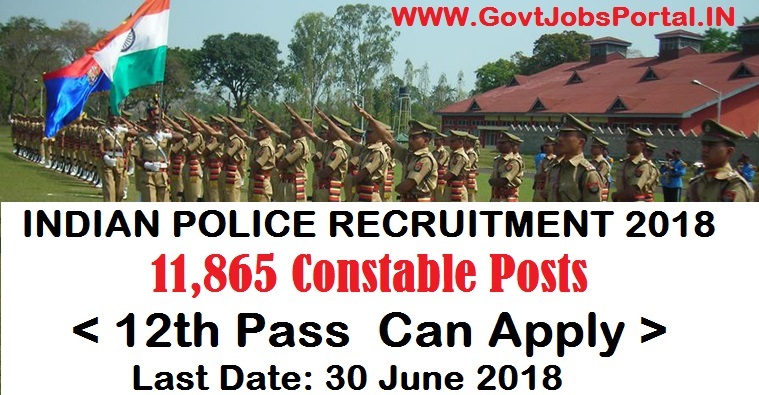 Bihar Police Vacancy for filling up 11,865 Posts of Constables 2018. Bihar Police Recruitment department introduce a notification on their official website related to this Bihar Police Vacancy 2018. In the official PDF file Police department said that, they are looking to fill up 11,865 posts of constables throughout the Bihar state. Online Bihar Police job applications are invited from all Indian candidates who are wishing to work for Police department in Bihar state only. Those who have passed in their 12th class examination can apply for this Bihar Police recruitment process 2018. There will be various rounds of selections for these Police jobs in Bihar. We explained each and every information related to this Bihar Police vacancy below. Read the whole article carefully before applying for these Police jobs in Bihar state. In the table below we are going to explain the basic information related to this Bihar Police recruitment 2018. This table contains the information related to the various job profiles along with the vacancies and Pay scale which candidates will get after selection. In this table below we explained about the number of vacant positions related to the each category. So candidates can check the vacancies related to the category from which they belong. What are the Eligibility Criteria for applying this Bihar Police Recruitment 2018? Educational Criteria: Indian candidates who are wishing to apply for these Government jobs in India under Bihar Police department must have passed in their 12th Class examination from a well recognized education board of India. So this is a Government job for 12th pass candidates. Age Bond: Applicants who are wishing to apply for this Bihar Police Vacancy must age in between 18 years to 25 years. Those whose age lies in this age group can apply for this Bihar Police recruitment 2018. What Application Fee to be paid for applying this Bihar Police Recruitment 2018? Candidates may pay through the following channels “Debit Card, Credit Card, Net Banking OR E–challan”. What is the Process for Selection for these Police Jobs in Bihar? Bihar Police recruitment department decide to conduct two rounds for the selection of the candidates. Those who are wishing to apply for this Bihar Police Vacancy have to go through these two rounds of selection. 1st Round: The first round will be the Written Test which is OMR Based test. 2nd Round: After the first round candidates will go through the Physical efficiency Test. Those who cleared both these rounds will be appointed for the respective job profile. What is the Process for applying this Bihar Police Vacancy? Candidates who meet with the all above eligibility criteria can apply now online with Bihar Police official website. There is no other way for applying these Police jobs in Bihar. We also share the link below for applying online as well as for official Advertisement. Check IMPORTNT LINK section for more information. 28TH May 2018 is the Starting Date for applying online. 30th June 2018 is the Last Date for applying online.